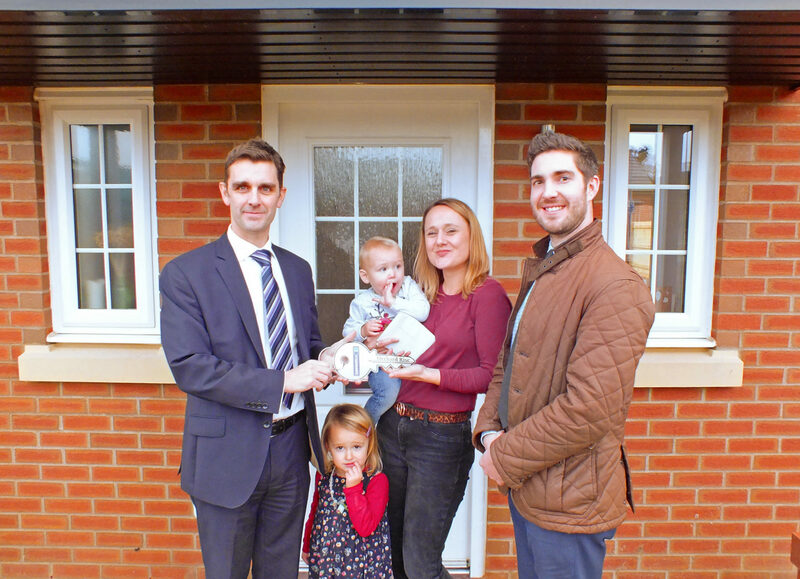 The first family to move into a new development in Chard are delighted with their choice. Orchard Rise is an exclusive site of just 15 properties built by Taunton firm Summerfield Homes. Located in Touchstone Lane on the western outskirts of Chard, it comprises an attractive mix of one bedroom bungalows and four bedroom detached homes in a highly sought-after area. The Wells-Burrs, who have two young children, have moved from the other side of Chard into one of the four-bedroom detached properties on the development. “We were really impressed by the quality and finish of the house when we moved in, and the Summerfield Homes staff on site have been so accommodating and helpful. “Orchard Rise is in an elevated semi-rural location offering lovely views over the town and surrounding countryside. Additionally, purchasers can have peace of mind knowing there are no management fees or ground rents payable here. For more information and to arrange a viewing please contact the sole selling agents Greenslade Taylor Hunt on 01460 238382.